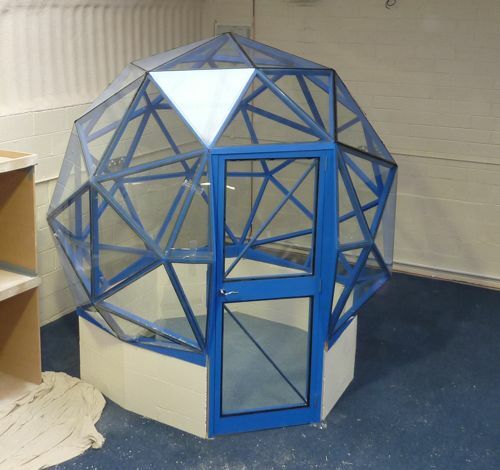 Another custom built dome project for growell a hydroponics outlet in Hockley heath Solihull. A basic GD5 kit was placed on a 600mm raised base wall, the frame was coloured to match company colours and covered in 4mm toughened glass. Growell are using this dome in their showroom to display plants and hydroponic systems.